Properties in Okaloosa County average 4.5 out of 5 stars. Property 1: Bayfront delight w/ shared pool, bay views & prime location - Snowbirds welcome! Property 2: Beautiful bayfront condo with pool access, beach, and a nearby dock! Property 3: Book now for Spring! Property 4: Chateau La Mer 16A, 1BR/1BA recently updated condo! Close to the beach! Property 5: "Sea Oats Unit 509" Gorgeous Condo with Partial Gulf Views!! Property 7: "Island Echos 5M" Gorgeous Gulf Front Unit!! Property 11: Remodeled! ON THE BEACH* Amazing Gulf Views! FABULOUS REMODELED DESTIN WEST GULFSIDE 403! CLOSE TO BEACH! FREE BEACH SERVICE! Property 12: FABULOUS REMODELED DESTIN WEST GULFSIDE 403! CLOSE TO BEACH! FREE BEACH SERVICE! Property 13: Cozy condo with shared pool and hot tub moments away from the beach! 4th floor! On the water, hot tub, pool with Beach service! Property 15: 4th floor! On the water, hot tub, pool with Beach service! Book now! Great rates, great view! Property 16: Book now! Great rates, great view! SeaCrest710 Top FL Views. April only $165/nt. Yay it's Spring Time Stay & Enjoy! Property 17: SeaCrest710 Top FL Views. April only $165/nt. Yay it's Spring Time Stay & Enjoy! Contact us today to reserve your get away this Spring! Property 21: Contact us today to reserve your get away this Spring! Property 22: "Sea Oats Unit 705" Gorgeous Condo with Direct Gulf Front Views!! Property 24: "Sea Oats Unit 510" Gorgeous Condo with Partial Gulf Views!! Bay Breeze Osprey at Destin West! 3 Bedrm Beautiful Bay Views! Lazy River and Free Fun Pass!!!! Property 25: Bay Breeze Osprey at Destin West! 3 Bedrm Beautiful Bay Views! Lazy River and Free Fun Pass!!!! Property 26: Come stay at Seaside Escape and enjoy the beach!!! Property 28: 3BR/3BA Bright & Beautiful 'Newly Renovated' Beach Condo!! Property 29: BEACHFRONT CONDO (14TH FLOOR) AND COMPLETELY RENOVATED FOR YOUR STAY!!! Property 40: Pelican's Penthouse Roost--Where the Top Meets the Best!! Property 42: Lanai level condo in Pelican building awaits your family. Newly redecorated! 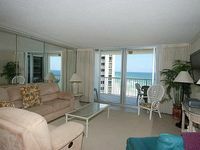 Property 43: Shoreline Towers 2085 - 2 Bdrm/2 Bath Spacious Vacation Rental on the Beach!! Rating Details: The property manager was very helpful. The vacation rental was spotless. I was very happy with the location. I was very satisfied with the condition of the vacation rental. Overall, I recommend this vacation rental. 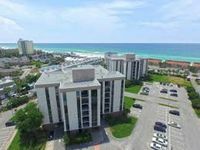 Reviewer Comments: We have been spending three winter months in Destin for a number of years and would not consider staying anywhere else than Shoreline Towers. The condos are well maintained, spacious and have spectacular views of the beach and gulf. The staff is also very professional, friendly and knowledgeable about the area.